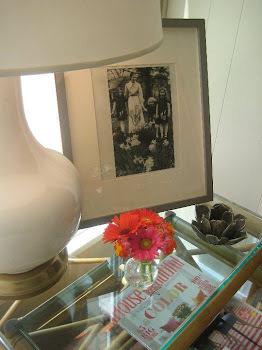 LUCY WILLIAMS INTERIOR DESIGN BLOG: HOMESTEAD BOUND!! WHEN MY HUSBAND ASKED IF I WANTED A PARTY FOR MY 40TH, OR A WEEKEND AT THE HOMESTEAD, THE DECISION WAS EASY. SERIOUSLY, IF I DON'T GET AT LEAST ONE WEEKEND A YEAR AT THIS PLACE, I MIGHT HAVE WITHDRAWAL !! HANDS DOWN THE HOMESTEAD IN HOT SPRINGS, VIRGINIA IS MY LITTLE HEAVEN ON EARTH. MY ITINERARY AT THE HOMESTEAD? WHEN YOU WANT TO GET AWAY AND DO ABSOLUTELY NOTHING, THESE LOBBY SEATS ARE VERY APPEALING! WE BROUGHT BACKGAMMON AND PLAYED GIN FOR HOURS...LOVE DOING NOTHING!! AND IF YOU DONT WANT TO SIT IN THE MAIN LOBBY, GO TO ALL THE OTHER AREAS....YOU CAN GET LOST IN THIS PLACE. THE MURALS IN THE PLACE ARE OUTSTANDING. MOST OF THEM WERE PAINTED BY VIRGINIA ARTIST LEE BASKERVILLE....CHECK HIM OUT! haha....when you are 40 and on vacation you can do whatevah-wahoo!! just you wait! All the images of this post is really beautiful.And i love all the images of this post. Thank You! Love this blog and some beautiful pictures with very nice interiores designs. This was a fun post to read.